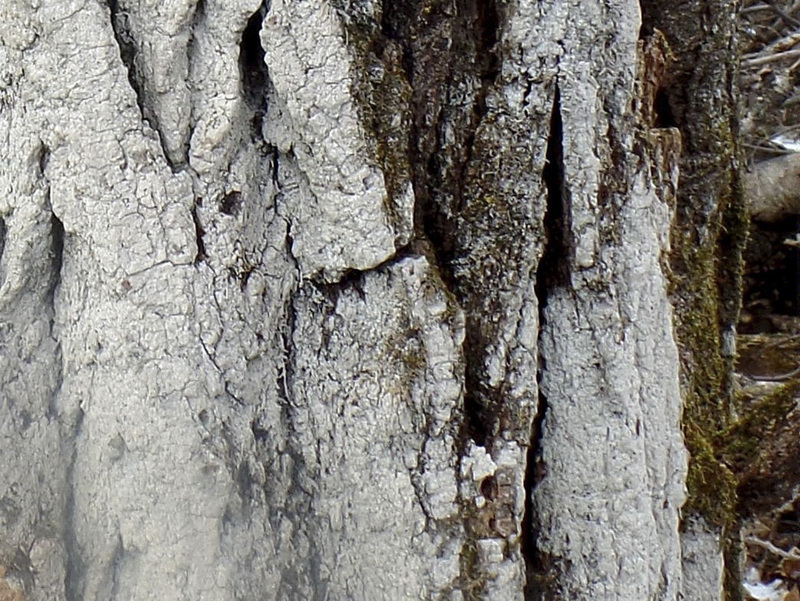 Whitewash Lichen (Phlyctis argena) is very common in Europe and North America. In the United States it occurs in the northeast to the Great Lakes region and in the Pacific northwest. It grows on the bark of oak and other deciduous trees, rarely on conifers, and rarely on rock. It neither harms nor benefits the tree. The vegetative body may be thick or thin, smooth or granular, small or large. It may appear as a small, well-defined patch with a distinct pale border, or as a large, irregular patch with diffuse pale edges, like a smear of paint. The upper surface is pale grayish-green or greenish white and smooth when fresh, becoming grayish-white rough as it ages. It rarely has the disk-like reproductive structures common in many lichens. When it does, the disks are minute, gray to black, and flush with the surface, sometimes hidden by it. This entry was posted in Fungi and tagged Phlyctis argena, Whitewash Lichen on November 24, 2018 by John Valo.